Follow Ups automates customer engagement. Follow Ups (formerly Follow Up Emails) automates customer engagement. In a previous article, I described how to use it to automate customer recognition. Follow Ups can also schedule tweets, including adding variables to personalize them for customers. 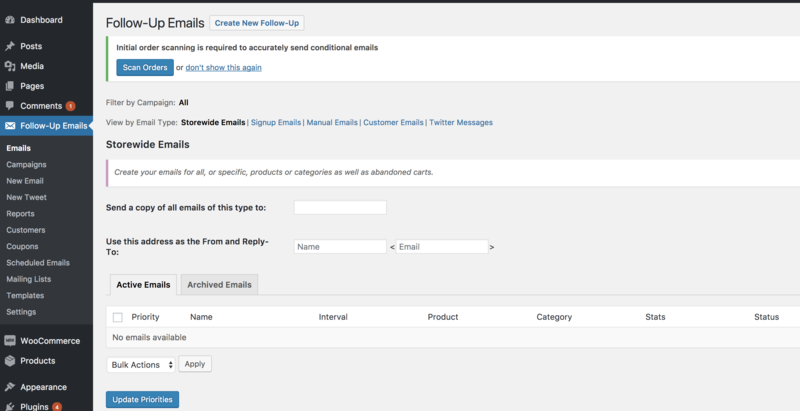 It will also let you create standard email templates for you and your team to communicate with a customer. This ensures that all your communication is on brand. Follows Ups also integrates with Event Tickets, WooCommerce Subscriptions, WooCommerce Points and Rewards, WooCommerce Bookings, and Sensei — all to provide more communication features relevant to those other features of your store. By using Follow Ups, you can centralize all the communication without huge amounts of configuration and integration that may be required for other email-marketing providers. Dynamic Pricing can automate discounts for your customers. Want to provide a discount if a customer purchases five products of a particular type? Dynamic Pricing can do that and many other discount scenarios. You can even combine it with Follow Ups to email customers and new members about the discount options available to them. Smart Coupons can do similar things as Dynamic Pricing, but it goes a bit further. Smart Coupons can build a complete store credit and gift certificate system, to sell and send gift certificates with customized messages. You can also bulk-generate coupons, have WooCommerce send emails to notify users of their unique coupon code, and even export the codes to a CSV file to share them with other parties. The biggest drawback to Smart Coupons over Dynamic Pricing, however, is that it requires customer interaction. Customers need to fill in the coupon code or at least click the available coupons at checkout to use them. If customers miss this step, they could ask you to apply the discount to an already completed order, creating more interaction, not less. Some countries require a PDF invoice for tax purposes. You could create them manually, but that requires time and effort. PDF Invoices can automate this process. It can email the PDFs to users, resend them on request, and make them available for download in their user account. PDF Invoices is customizable. You can add special registration numbers to an invoice or whatever else an international customer needs. WooCommerce has limited native options for order and stock notifications. It expects you to send them all to one place, which is fine for many stores. If you need more, however, consider Advanced Notifications. With Advanced Notifications, you can, for example, send custom emails to your drop shipping provider. If you use multiple suppliers, you can customize the recipient by product, or by product category. You can alert the proper staff when a product is low in stock. There are systems that don’t directly integrate with WooCommerce, or the default integration doesn’t include all the data you need. This is where WooCommerce Zapier comes in. 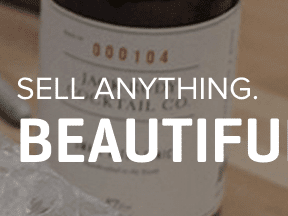 With WooCommerce Zapier, you can send information from your store to other systems seamlessly. I’m aware of a merchant, for example, that uses it to send relevant client information to ActiveCampaign, a marketing platform. Without the Zapier integration, he’d be missing information crucial to his email marketing. I use it to integrate WooCommerce and Drip (another marketing platform) because the default Drip integration doesn’t include subscription details. Without the Zapier integration, I’d have to toggle active and inactive subscribers in Drip.